I got my Fit earlier in the year but I never really posted any pictures on here. There was a bunch of stuff I wanted to do on it but Ohio’s winter got in the way, so this is it in its current state. So far I’ve gotten the new wheels, a Buddy Club short shifter, and a new intake. 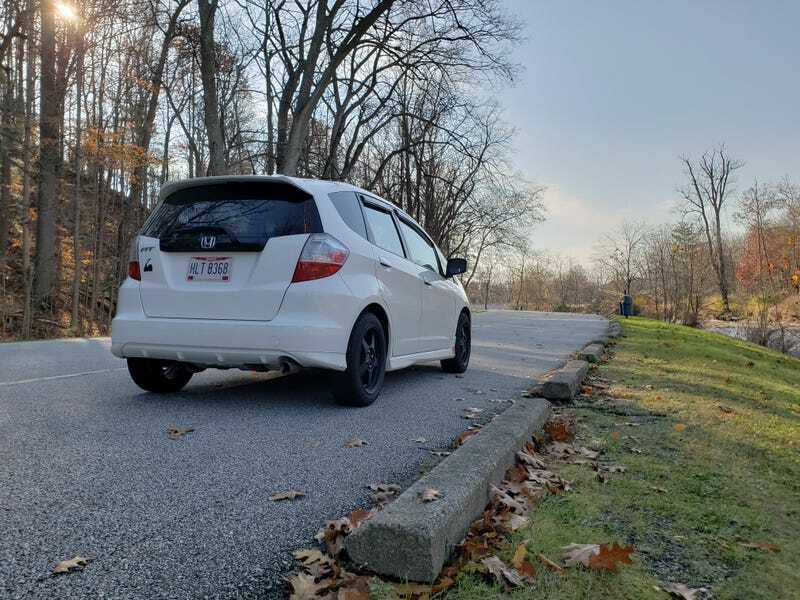 I have a Mugen grill sitting in my basement, and I still want to get a new spoiler, strut tower brace, and lowering springs. Eventually a Spoon exhaust and brakes would be awesome, but they aren’t cheap.